Anxiety, depression, mood disorders – mental issues affect millions of Americans and, not coincidentally, cost businesses billions in lost productivity. Unfortunately, while millions experience these issues, access to effective care is often the biggest hurdle. Telehealth, which already is transforming the delivery of medical care, is opening new pathways to behavioral health care as well. In a recent survey conducted by PricewaterhouseCoopers, the findings calculate that American businesses shoulder more than $440 billion in costs annually related to mental illness – their own employees or that of a family member. Part of this grand total derives from a domino effect of chronic conditions. Depression, for example, is often associated with poor adherence to medical regimens leading to morbidity, according to several studies from the U.S. National Library of Medicine. So called “Chief Health Officers” are helping companies leverage employee wellness programs as it becomes more clear that employers have good reason – not just good intentions – to help their employees stay fully fit. The ROI in tele-behavioral health services – which save employees and employers time and money – is obvious. In a workplace environment looking to manage expenses while still providing employees with valuable health care benefits, offering tele-behavioral services are an obvious solution. 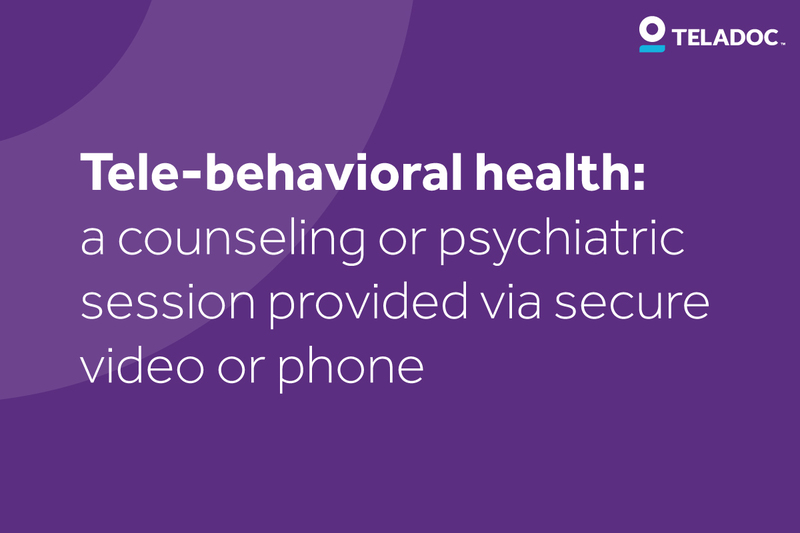 At Teladoc, for example, we understand that not all behavioral health issues are created equal. That’s why we provide comprehensive tele-behavioral services nationally through more than 800 psychiatrists, psychologists, clinical social workers, master’s level therapists, licensed professional counselors, mental health counselors, certified drug and alcohol abuse counselors, and marital and family therapists. 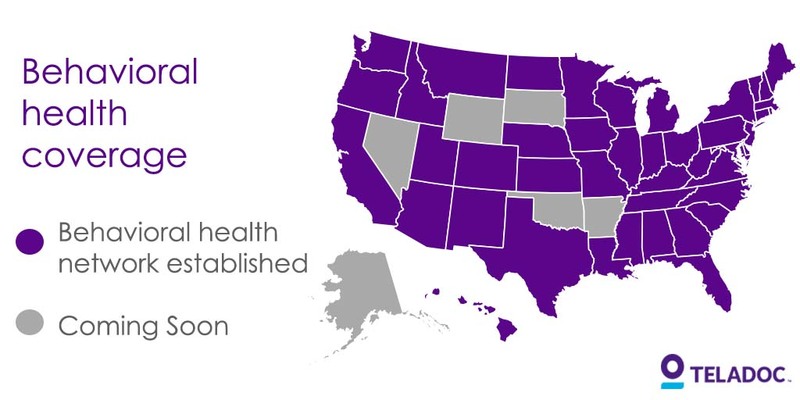 We estimate there are 131 million behavioral health sessions addressable using telehealth. Through our approach to care, each individual health care consumer gets unique attention and a tailored plan for the care they need. This translates to millions of hours of productivity saved, and millions of dollars back in employer’s pockets. Additionally, the stigma of seeking and receiving behavioral health care is virtually erased by tele-behavioral health, which is confidentially delivered in the privacy of the patient’s choice. The current national statistics clearly tell us the need for and access to telebehavioral health is a great and real need. The incentives are rich. The time is right and the technology is easily at hand. I’ve been in this industry for more than 30 years and implemented many programs geared towards reducing the stigma of mental health while creating better access to care. It’s a passion and privilege to develop new delivery methods or services that help more Americans address their mental health needs – and none come closer, in my opinion, than the promise of telehealth. We’re looking forward to setting the pace on a new and brighter future for mental health in America that makes best use of innovations like tele-behavioral health.